Changes to motoring taxes are persuading more companies to make the switch to electric cars. New vehicle excise duty rates could see the tax on some cars, including hybrids, rising by more than 2000%. However, zero emission electric vehicles costing less than £40,000 will remain tax free, and could also qualify for a government grant of up to £4,500. 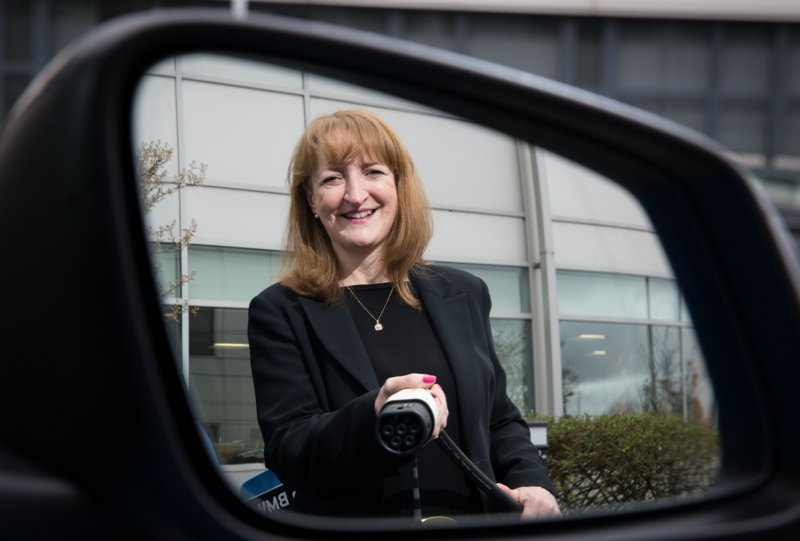 Accountancy firm Campbell Dallas has installed an electric charger at its Glasgow offices, and will shortly be adding one at its new office in Perth followed by a second in Glasgow. It is hoped that staff will take advantage of the pooled cars and as demand rises the scheme will be rolled out further across its five offices. Last year the firm installed 300 solar panels on the roof of its Glasgow offices, producing enough green energy to drive a company BMW i3 nearly ten times around the world – or 250,000 miles. The investment in electric vehicles and solar panels is a core part of the firm’s desire to place sustainability at the heart of its corporate culture.